March 16th to 18th the LUNATECS competed in the MAR District Springside Chestnut Hill Academy Event. The competition was tough but the LUNATECS ended the qualifying matches in 7th place and went on to lead the 5th place alliance to victory in quarter and semi-finals, battling the number one seed alliance to compete in the finals. Their alliance partners 103 and rookie team 7110 faced off in finals against the number two seed alliance consisting of 225, 1168 and 338. Although they fought hard the LUNATECS were defeated in the second round of finals. 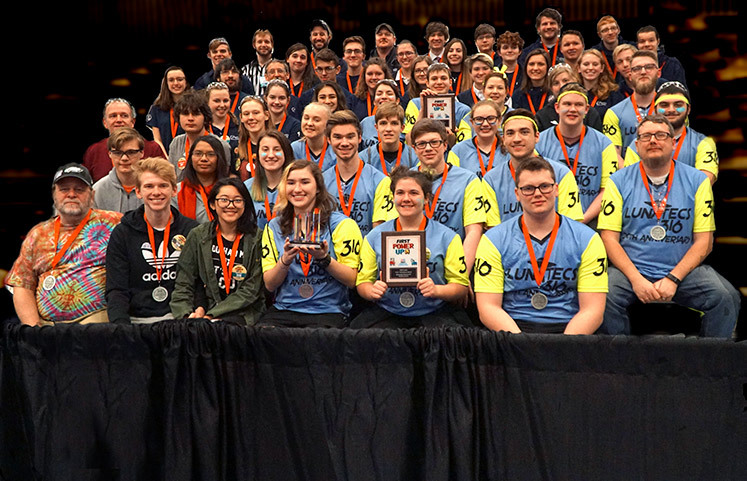 They ended the weekend with a different victory, taking home the Quality Award sponsored by Motorola Solutions Foundation. Now ranked 21st in the district the LUNATECS are looking forward to the MAR District Seneca Event this coming weekend.